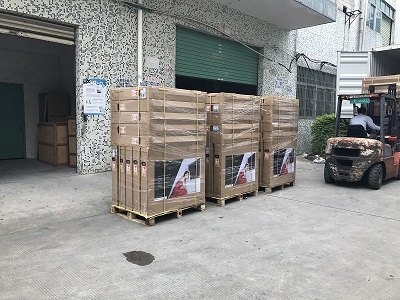 100pcs of 32inch Magic Mirror TVs are shipped to our valued client - WeMoove company from France! Our B2B client from France has ordered 100pcs of 32inch Magic Mirror TVs and 100pcs of 21.5inch TVs. WeMoove is the company name and also the brand they use for the TVs in France and EU market. Today we shipped out the first batch (100pcs of 32inch). We wish hot sales to WeMoove in the coming Christmas and NY season!